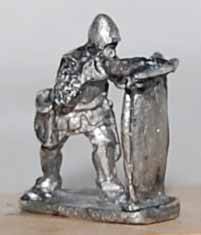 10mm scale - There are 50 Crossbowmen per pack. 10mm scale - There are 30 Dismounted Command per pack. Mounted Hobilars or "Gros Varlets"
10mm scale - There are 30 Mounted Crossbowmen per pack. 10mm scale - There are 30 Mounted Longbowmen per pack.